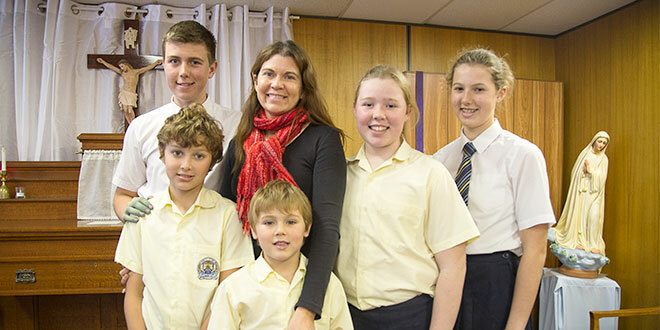 Faith-filled: Head teacher Colina Knol and her five children in the Angelorum College chapel, from left, Henir, 14; Jordi, 10; Andi, 6; Tomara, 12; and Elena, 13. YOU could easily miss the tiny school passing down a busy main road on the edge of Brisbane’s Fortitude Valley. Behind a locked, metal-barred gate, Angelorum College, an independent Catholic school, is a new sanctuary of learning – just 20 students in two classrooms, a chapel, and an enclosed playground in an ageing building owned by the Legion of Mary. “We put Christ first – the Catholic identity – and from that everything stems,” Simon Ashley, one of the school’s three teachers, said. Opened at the start of last year, the school has a clear focus – taking on what St John Paul II identified as the many threats that human dignity would face in the 21st Century. “We’re all about helping families grow in their calling to holiness. That means putting Christ first, supporting a culture of life and fighting a culture of death,” Mr Ashley said, standing in the narrow campus hallway next to a banner of the Polish Pope and what he describes as “the life wall” with photos of families and newborns. “We are all pro-life, we’re open to life and we’re always celebrating kids when they’re born and we’re teaching the kids about it,” he said. 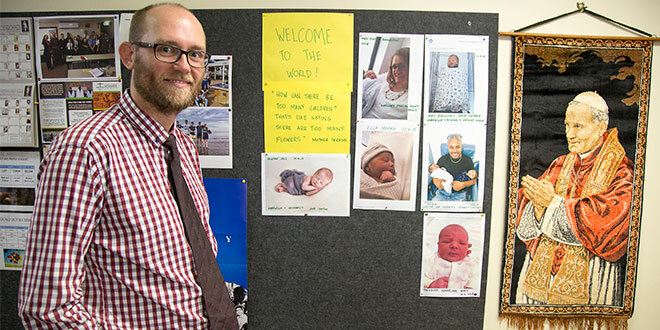 Open to life: Brisbane teacher Simon Ashley stands in front of ‘the life wall’ at Angelorum College. The wall includes photos of newborns related to the students and staff. Photo: Mark Bowling. “(St) John Paul II said we need to build up a culture of life and that’s really where the rubber meets the road. About seven years ago a group of home schooling parents started a day program, then decided to register, and Angelorum was born as a “real school” with provisional accreditation. Ten students also learn by distance education. 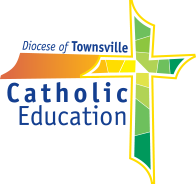 Students are taught from the Catechism of the Catholic Church, synchronised with the liturgical seasons, and with regular visits from the priests and brothers from The Brisbane Oratory in Formation and the Missionaries of Charity. At the start of each day the high school students study religion for 40 minutes using the Youth Catechism as the core resource, which is complemented by critical thinking activities requiring apologetics. The day is peppered with opportunities for prayer, including Adoration of the Blessed Sacrament, Rosary, Chaplet of Divine Mercy and Benediction. 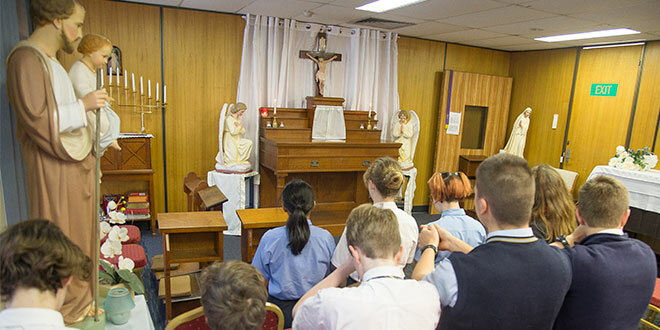 Spiritual focus: Students and staff at Angelorum College dedicate time in their school schedule to pray the Rosary in their on-site chapel. Photo: Mark Bowling. After home schooling, head teacher Colina Knol, shares the Angelorum vision of nurturing a culture of love and life, and a strong family involvement. Her five children attend the school – two in high school and three in primary. “It is a blessing. We really do believe God wants this school to succeed, because this school is faithful to the magisterium of the Catholic Church,” Mrs Knol said. She also believes that parents should be “primary educators” of their children. Mr Ashley, a former teacher at Brisbane’s Clairvaux MacKillop College, who has a Master of Arts (Theology) from the The John Paul II Institute for Marriage and Family, agrees “the buck stops with the parents”. As well as his classroom duties, he is privately developing his own video catechesis education resources “Sanctify Education” aimed at empowering parents to train their children and teach them about sexuality in the context of marriage and the family. He calls his online and video materials “ice-breakers” which parents can send by text links to their kids to start conversations. “They are short videos to come at this topic from different perspectives,” he said. “As your adolescent learns how to navigate the school of life, they will need loving family members to guide them. 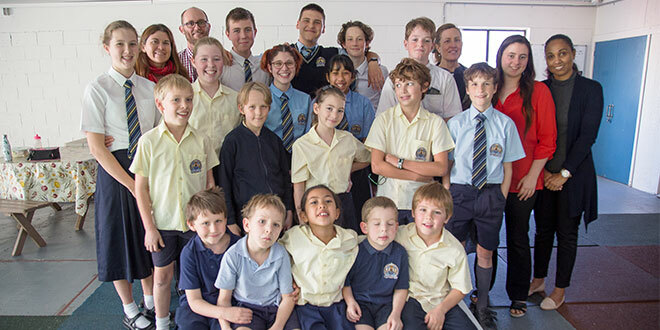 Living the faith: A whole school photo of Angelorum College, an independent Catholic school in Fortitude Valley. Photo: Mark Bowling. Mr Ashley says despite its size, and financial pressures, there’s a critical need for schools like Angelorum College. “We’re really intentional and clear about promoting a culture of life because life is sacred and life is special,” he said. “If you omit life … then the teachings of the Church get watered down and everyone gets the wrong idea. “We’re in a time in history where life itself is under threat. As Angelorum College gets started, it is looking for donors and benefactors. There are plans to one day move and establish a campus elsewhere in Brisbane. “The culture’s really nice, the kids are really respectful, the staff are really committed – a new campus would allow us to grow,” Mr Ashley said. There will be a college Open Day on Saturday, September 15, from 3pm to 5pm followed by fundraising movie night from 5pm.